I’m surprised, even amazed. Why? Suddenly I admire Tiger Woods. 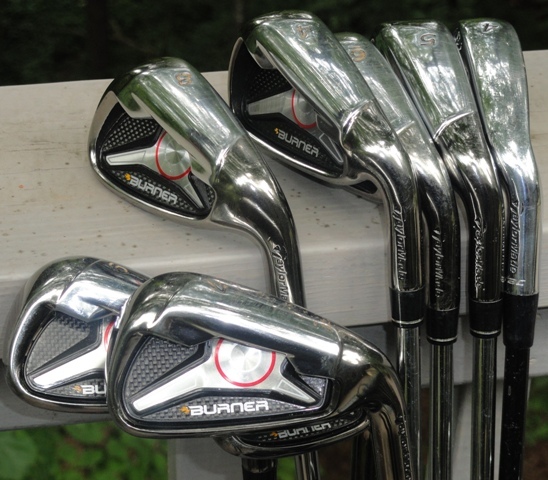 Not for what he is able to do with a set of golf clubs, like these shiny irons in the photo. In fact, his golf has turned from mastery to misery and mystery. Yesterday he shot 82, the highest round of his professional career–and finished dead last in the Phoenix tournament. For years, I disliked Tiger’s arrogance and other character flaws. I wanted him to lose his number one ranking. I laughed when his scores soared, along with his temper. Now Tiger has turned me from critic to cheerleader. Do you join me in applauding his reaction, which we can apply to bigger disappointments in our own lives? I’ll welcome your comments about Tiger Woods’ words to the media. Go to the end of the blog entry in the section below and click NO COMMENTS if none have been made, or if comments have been made click 1 comment, 2 comments, or whatever the comments button says. The comments section will appear.